The fanless EdgeSwitch 8 is a fully managed, high-performance, PoE+ Gigabit switch. 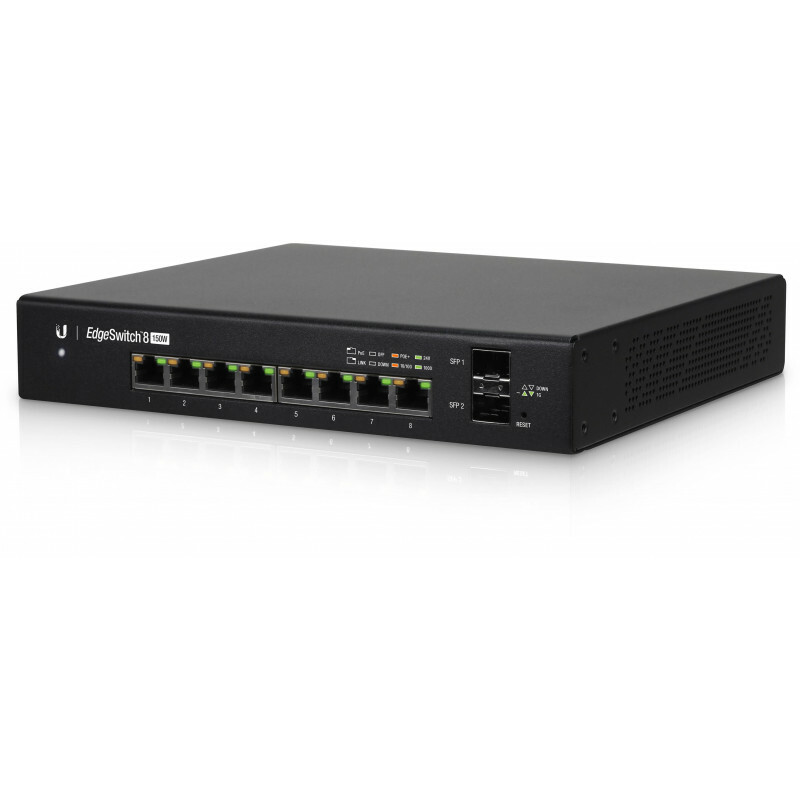 It delivers a powerful performance and intelligent switching with its 10 independent switching ports. A DC input option is included for flexibility. 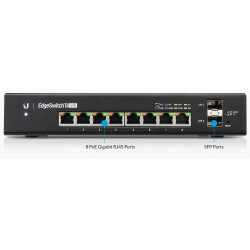 The compact EdgeSwitch features a versatile port configuration: eight Gigabit Ethernet ports that support PoE+ and two SFP ports for fiber connectivity. Sharing a total of 150W, eight Gigabit Ethernet ports offer auto-sensing IEEE 802.3af/at PoE/PoE+ or 24V passive PoE to simplify your infrastructure. For your fiber connectivety needs the switch provides you with two SFP ports, which can give you uplinking speeds of up to 1Gbps. The EdgeSwitch delivers robust switching performance with its total, non-blocking throughput of up to 10 Gbps.It also offers you the forwarding capacity to simultaneously process traffic on all ports at line rate without any packet loss. The comprehensive UI is easy to learn and allows administrators to configure and monitor features in a graphical user interface. For advanced users, a Command-Line Interface (CLI) is available through telnet and SSH. It can be placed on a desktop or mounted on a wall.